First off this is my 3rd new C7 and I started a tradition when I got my C6 of bringing the car in for a wheel alignment at about 700 miles or so, NOT to the dealer but to Little Bear. I just don’t trust the dealership techs to take the time and do the job right. EVERY. SINGLE. VETTE. I have brought in has not been aligned properly from the factory, and after leaving Little Bear the car feels more precise and just overall drives unbelievably. 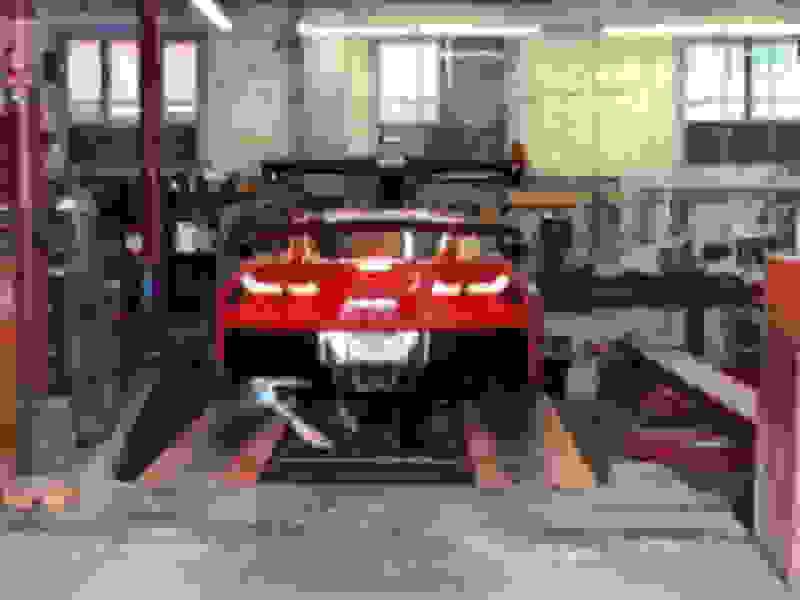 To align the C7’s (and I believe C6’s) an angle gauge must be used to be able to adjust the rear caster which some dealerships don’t even have. These guys have the right tools, they take their time and they have Vette experience. I have recommended them to numerous friends and forum members and they all are thrilled with the job Little Bear does, Odds are you need a proper alignment if you haven’t had one, get one, and if you can, go to these guys, they are the best. Yea the factory alignment specs are wide enough to cause a lot of wear and handling problems. Wise to check it especially with such a nice 'Vette. C6's did no have a provision to measure rear caster nor a way to adjust. There was only one eccentric bolt per side on the lower control arms on the C6's. I have been looking for a good place to have my 17 ZO6 aligned. I will look in to Little Bear. Thanks for the post. Should I be worried about aligning the wheels after 5k miles? Will the Pilot Super Sports be too messed up a that point, or is it still ok? Also, what does a wheel alignment run there? I second the recommendation, have been using Little Bear for a few years now. Top notch work! Did you have them do the NYS inspection while you were there? Where are you having the 500-mile oil change done? Do they let you sit in the car and align the car to your specs as well? I wouldn’t worry about the miles, they will tell you if it’s an issue...ie if your tires are not in good shape. They charge $200 for full alignment including the rear caster. Did the 500 mile oil change at Mt Kisco Chevy, in and out while I waited...also had them put on black lug nuts.. Thanks. Wasn't sure if they're still as Vette-friendly as they were when it was Arroway. Wheels In Motion 2018!!! A Great show!